A much-needed look at the mighty talents of one of the key forces of the dancehall explosion at the end of the 80s – producer Bobby Digital, whose work in the studio helped Jamaican music find a whole new audience in the decade to come! Bobby's ear for rhythms and basslines is fantastic – and his bold, stripped-down approach to production really helped reggae capture some of the best elements introduced by the hip hop generation – particularly the very strong bottom end that helped the music find a much more relevant sound in the 90s, which in turn led to a huge new audience around the globe! Yet these tracks aren't the mainstream dancehall of the time – as many numbers here were the sorts of indie singles that circulated underground before the music broke bigger on major labels. 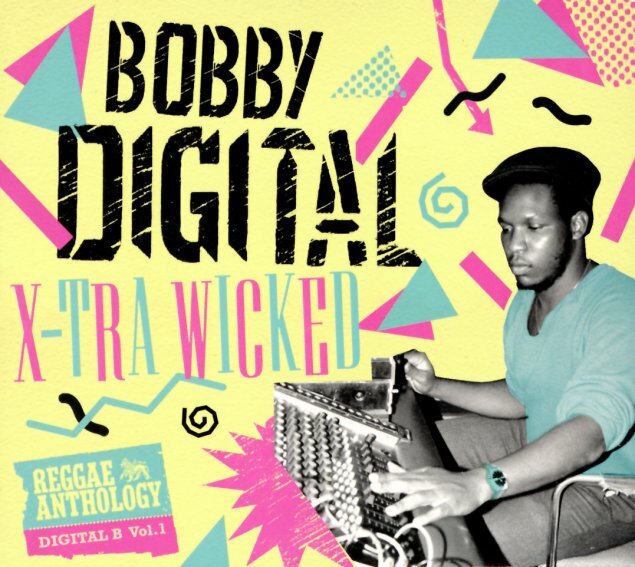 This first CD features loads of great early Bobby Digital production – 24 titles that include "Dem Bow" by Shabba Ranks, "How Them Flex" by Cocoa Tea & Prezident Brown, "Inaculator" by Daddy Lizard, "Play Play Girl" by Johnny Osbourne, "Sitting In The Back Seat" by Glen Ricks, "Original Full Up" by Leroy Sibbles & Beenie Man, "Sweet Jamaica" by Tony Rebel, "Tek Him" by Mad Cobra, and "Solid As A Rock" by Sizzla. © 1996-2019, Dusty Groove, Inc.